October 9, 2018 – José M. De Jesús, Head of the Upper School at Packer Collegiate Institute, New York City, has been named the 30th Head of School of Lake Forest Academy. He will succeed Dr. John A. Strudwick, who last year announced his plans to retire at the end of the 2018-2019 school year. Dr. Strudwick is completing his 18th year as Lake Forest Academy's head of school. LFA's Board of Trustees made the appointment upon the unanimous recommendation of its 14-member head of school search team. Today's announcement was made by J. Michael Schell, Chair of the board and the search team. LFA's head of school search team was advised and assisted by Deirdre Ling and Educators' Collaborative LLC. José De Jesús's academic background, boarding school experience and educational philosophy and vision, combined with his personal disposition, character and core values, stood out during the ten-month search process, said Schell. He described the 43-­year-­old teacher, administrator and educator as an "empathetic, insightful and inspirational leader" with an intuitive sense for understanding how today's high school students learn, interact, serve and grow. "José's intelligence, warmth, passion and record of accomplishment at each stage of his professional development were the qualities that recommended him to our search team and our board," said Schell. "As we got to know him over the course of the search, it became clear that he has the essential qualities, character, values and dedication to lead Lake Forest Academy well. Among them, José is instinctively collegial and has a naturally collaborative leadership style. He is a perfect fit for LFA's slogan: Midwestern Heart, Global Mind." Gregory Jones, a trustee and vice chair of the search team, concurred, adding that LFA will enter a new era of leadership from a position of strength. "The selection of José De Jesús is an affirmation of that strength, as well as the shared vision and hard work that have propelled this great school through the last two decades," he said. "As wonderful as our progress has been, and continues to be, I have every confidence that it can be even better. Jose's academic credentials, aptitude and performance will enhance his ability to make that happen." Jim Cowart, a trustee and a vice chair of the search team, noted, "It was most important that José's values and vision for education align with LFA's own values, mission and strategic plan. He is decisive, calm, and compassionate and matches rigorous, disciplined analysis with an inquiring mind, a keen intuition for people, and a strong sense of community. A strategic thinker, José has the strength of character and judgment to lead the LFA community in the coming years." Dr. Strudwick applauded the trustees for their decision. "Lake Forest Academy and José De Jesús are very well-matched. We are an institution that emphasizes great teaching and innovation. José will be a champion of both." De Jesús is anxious to begin preparing his transition. "I am humbled and excited to partner with LFA's dedicated school community. The love and passion for the school exhibited by families, faculty, students, alumni and trustees is palpable. Together, we have challenging and inspiring work ahead of us. I am especially looking forward to consolidating the gains the school has made during John Strudwick's transformational tenure." José Manuel De Jesús was born in Puerto Rico and migrated to New York City with his family when he was six years old. Over the past 31 years, José has been a student, teacher and administrator in independent schools. José is currently the Head of the Upper School and a History teacher at the Packer Collegiate Institute. 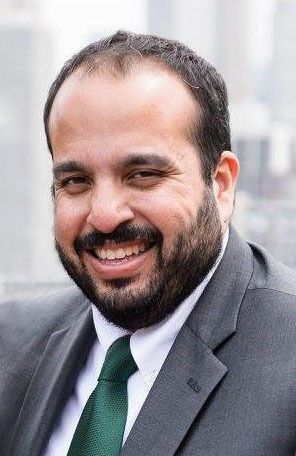 Previously, José served as Director of Outreach and Public Purpose at the Spence School in New York City, where he led the school's community engagement and travel programs. José has also taught history at Concord Academy in Concord, MA, where he began his career, and at the Poly Prep Country Day School where he was Dean of the Ninth Grade. José has led more than 100 students to four different continents as a seven-time group leader for the Experiment in International Living Summer Abroad program. José currently serves on the boards of the City Charter School for the Arts in New York City and the High Mountain Institute in Colorado. José earned a B.A. from Wesleyan University, an M.A. in History from Tufts University and a second M.A. in Private School Leadership from the Klingenstein Leadership Program at Teacher's College, Columbia University. José's official duties as Head of School at LFA will begin July 1, 2019. Schell concluded by noting, "We are incredibly fortunate to have had the benefit of John Strudwick's leadership for the past 18 years – ably and extraordinarily well supported by Loring Strudwick. We will continue to benefit from their leadership in this, their final year, while José De Jesús completes his work at Packer Collegiate. Throughout the year, we will have several occasions to celebrate the Strudwicks' extraordinary legacy and express our gratitude to them. We will also work closely with José to integrate him into the Lake Forest Academy community and ensure a smooth transition."